A collaboration between MBIE and Auckland Council to explore the experiences of renters, landlords and tenancy managers. 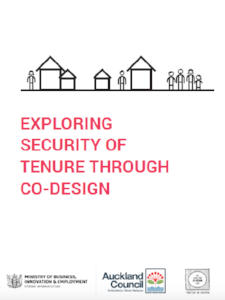 Focused on South Auckland, the purpose of this short project was to identify insights and ideas in response to tenancy issues using a design-led approach. We recognised that there are already a range of initiatives underway to address Auckland’s housing challenges and this work was intended to complement them by focusing on people’s lived experiences. It was also an opportunity for the project team to explore new ways of working.